Karen Anand is considered something of a food guru in India influencing the way people eat and perceive good food for the last 30 years. She was a phenomenon on the Mumbai food scene in the 90’s and then chose to move home to Pune from where she writes and runs her food consultancy company. Credited with de-mystifying international cooking, Karen has handed over the legacy of her gourmet food business to her sons, Param and Sasha Anand. The boys have recently re-launched the brand under Ks Kitchen to an overwhelming response in cities across India – Pune, Mumbai, Bangalore, Hyderabad, Secunderabad, Coimbatore, Ooty, Pondicherry, Chennai & Kolkata. 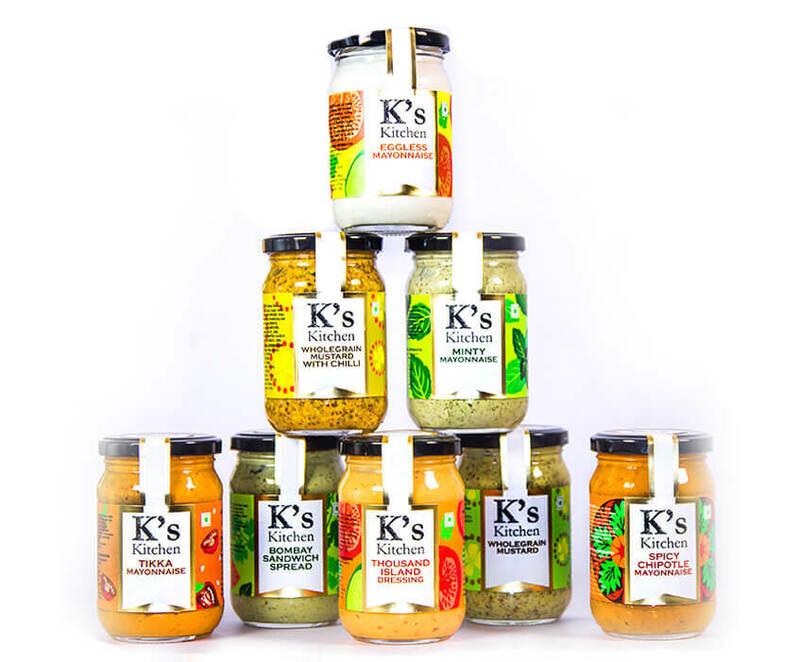 They have increased the range of products to include conserves with no added sugar and a variety of salad dressings and sandwich spreads, keeping in mind the taste and convenience factor for the new generation with no compromise on health and quality. With the availability of these bottled food products at retail outlets, international cuisines today can be made and experienced in the comfort of our homes. Together, the Anand/Sankalia family share a common love for gourmet food which lives on, continually innovating and creating. We are available in the following cities : Pune, Mumbai, Bangalore, Hyderabad, Secunderabad, Coimbatore, Ooty, Pondicherry, Chennai & Kolkata.